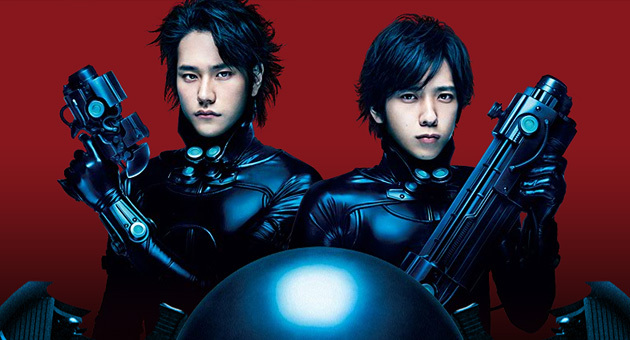 Two nights ago, I was checking movie times in Ann Arbor, and saw that GANTZ — a live-action adaptation of a popular sci-fi manga and anime series — would be screening on January 20th in one of the local theaters. Puzzled by this very peculiar turn of events, I did some additional digging and found out what many fans already knew — GANTZ was making its international world premiere in 334 movie theaters across the United States in an exclusive”one-night only” event thanks to the fine folks at NCM Fathom, New People, and Dark Horse Comics. I plan on writing a full review of the film soon, but in the meantime, I’ll give my initial impressions of the film, as well as a rundown of the event itself.